In the mood for some girl empowerment? And girls? Well today, Matt welcomes Raina Sinclair, Betty Brash, and Paige Literati as the three producers of Magical Girl Burlesque (and as performers in their own right). 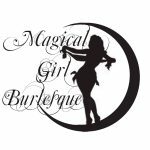 Inspired by a genre of manga that focuses on the power and inner strength of girls and women, Magical Girl Burlesque joins Matt to discuss their origins as a burlesque troupe and how they all got their start, individually. From the details on how they create their acts, to discussions on Matt’s involvement as a host, and even their activities outside of burlesque, here’s presenting Matt Storm and Magical Girl Burlesque.